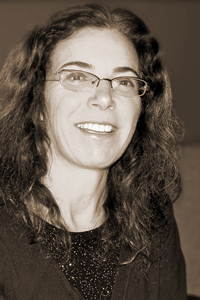 Martha Silano is the author of three books of poetry: The Little Office of the Immaculate Conception (2011), the winner of the 2010 Saturnalia Books Poetry Prize; Blue Positive (Steel Toe Books, 2006);and What the Truth Tastes Like (Nightshade Press, 1999). Her poems have appeared in the Paris Review, Poetry Daily, AGNI, and American Poetry Review, among other journals. Silano has been anthologized in The Best American Poetry 2009 (Scribner). She teaches in the English department at Bellevue College.